In the Song of Princes, the western Greek world is set afire by the brazen escape of Helen of Sparta with Paris, the Forgotten Prince of Troy. As their ship plows east across the Aegean, the Great War trails close behind them. Not even the gods could silence the thundering shields and singing arrows following the lovers back to Troy. 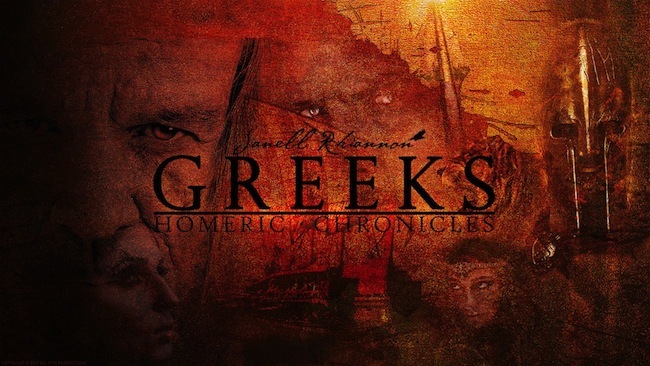 In Rise of Princes, Agamemnon and his horde lay siege to Trojan allies for nearly nine years, but it is Achilles, the Golden Warrior, who brutally ravages the Troad lands becoming the Sacker of Cities. His fierce onslaught prompts the gods to intervene on behalf of the Trojans and their allies. Aphrodite, the Goddess of Love and Beauty and patroness of Troy, sends the Princess Briseis to calm the bloody fury of Achilles. Hektor, the Golden Prince, leads the Trojan army against the western invaders, keeping Troy safe behind the Great Wall. As Defender of the Citadel, he grants sanctuary to thousands of refugees seeking safety from the death and destruction sweeping the land. Behind the solidarity of the royal family, tensions over the continued presence of Helen of Sparta threaten to topple the empire. When the fate of Troy appears most grim, a ray of hope is offered by a new prophesy. Despite his private losses, Hektor vows to remain the strength his people need. Across the Aegean, the Greek kingdoms struggle with disturbing news from Troy. Queen Clytemnestra of Mycenae, reeling from Agamemnon’s ruthless betrayal, loses faith in the gods and plots her revenge. Queen Penelope of Ithaka, young and uncertain, prays to Athena for her husband’s swift return. And Tyndareus, the former king of Sparta, works to usurp Menelaus’ throne. Trojans and Greeks face heartbreak as the war, sparked by the vanity and greed of men, continues with no end in sight. 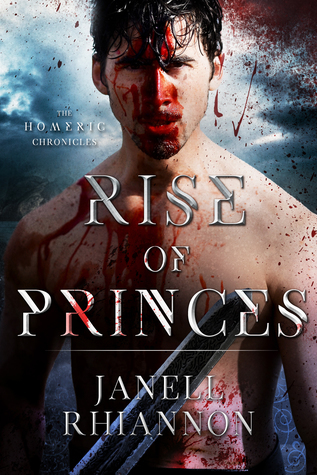 You can also grab a copy of book 1 – Song of Princes – for FREE on Janell’s website here! The battle cry, a thunderous roar of thousands, carried on the wind, warning the people of Methymna that death was coming for them. Those seeking safety within the city walls waited far from the gore upon the ramparts. From high above, fear gripped their bones and souls as they watched the soldiers with Black Shields move through their army like a plague. It was impossible to ignore the warrior-god, standing tall among his men, gleaming golden and ferocious in Apollo’s light. His menacing sword slashed flesh and cracked bones and split heads with every stroke; behind him, bodies fell like broken flowers crushed by a beast in the field. As the western tribes lay waste to the Methymnaan army, the princess pulled the pin from the knot holding the gate’s massive latch in place. The devastation could now consume the city for lust and gold and geras untold. Achilles stood amidst the carnage, blood dripping from his arms and face, as his eyes locked on the commander of the enemy. He watched as Hypsipylos smashed his blade and rammed his shield against his foes; he stood almost as tall as Achilles and almost as broad. A worthy opponent and a good day for the Methymnaan commander to die. The Golden Warrior’s roar rose above the din of battle and Hypsipylos turned, knowing instinctively who challenged him in mutual combat. He plunged his sword deep into an invader’s chest, pulled it free with fresh blood dripping down the blade, and bore down on Achilles like an enraged bull catching the scent of an enemy afield. The mighty warriors clashed. Shield against shield, blade against blade, Achilles and Hypsipylos unleashed their fury on each other. Dust clouded around them like a swirling storm. The harsh scraping of metal on metal sang through the air. Citizens from above watched in fascinated horror, while men on the battlefield ceased their fighting and circled the combating champions. The warrior-god of the west arched his sword in a flash of silver, smashing the pommel into Hypsipylos’ cheek. The Methymnaan hero stumbled back, dropping his shield guard momentarily. Achilles, lunging forward, used his shield as a battering ram and smashed its edge into Hypsipylos’ shoulder. The dark hero’s sword arm faltered with the blow. Achilles moved in for the kill with the strength and skill of a lion. “No …” He grimaced, stiffened, and then fell over, blood still welling up from his throat and spilling through his open mouth. His dead eyes stared at nothing. A mighty cheer rose among the united Greeks. The enemy turned to retreat, finding escape impossible. Achilles wiped the muck of blood and dirt from his blade. The fighting left his throat parched, so he spat. The bodies of his enemy lay heaped around him. The entire city lay slaughtered and scattered in the dust. Janell always had her nose in a book, reading by flashlight when it was "lights out" time. Her love of reading turned to a curiosity about writing. She now writes in all the spare moments she can squeeze out of a day. She also writes fiction and fantasy with some romantic spice for good measure. Janell adores Mythology and Fantasy. Anything magical and mystical. And dragons. And gargoyles. 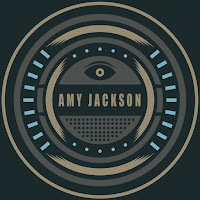 Her guiding motto: "I tell stories, not genres." She currently lives in CA.